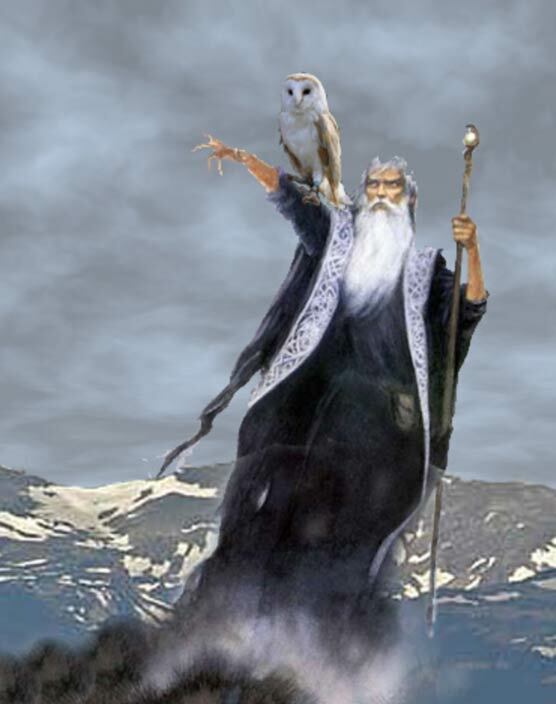 Merlin was created as a combination of several historical and legendary figures. Geoffrey combined stories of North Brythonic prophet and madman, Myrddin Wyllt, and Romano-British war leader, Ambrosius Aurelianus, to create Merlin Ambrosius. 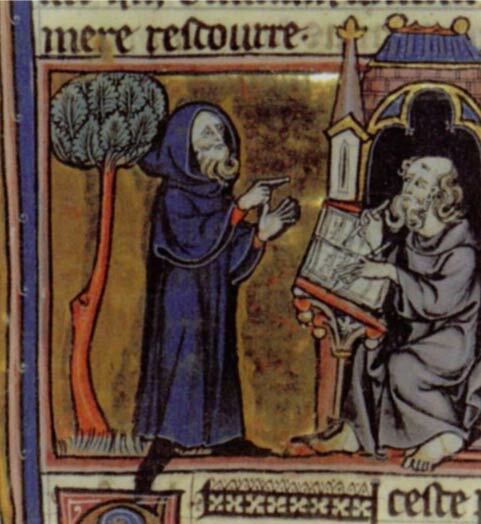 Ambrosius was a figure in Nennius' Historia Brittonum. 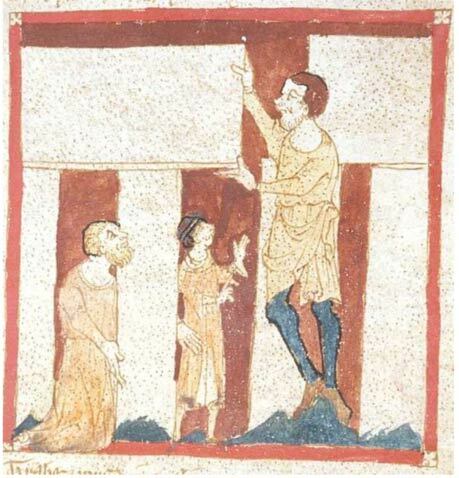 In Historia Brittonum, British king Vortigern wished to erect a tower, but each time he tried it would collapse before completion. He was told that to prevent this, he would have to first sprinkle the ground beneath the tower with the blood of a child who was born without a father. Ambrosius was thought to have been born without a father, so he was brought before Vortigern. Ambrosius explains to Vortigern that the tower could not be supported upon the foundation because two battling dragons lived beneath, representing the Saxons and the Britons. Ambrosius convinced Vortigern that the tower will only stand with Ambrosius as a leader, and Vortigern gave Ambrosius the tower, which is also the kingdom. Geoffrey retells this story with Merlin as the child born without a father, although he retains the character of Ambrosius. The country is Wales, not Whales. There are also a few sentences in the arricle that don't make sense, they just seem to end without completing a thought. It is a kindness to every journalist to point out typos, but it is another to include them in your own critique, in a seeming condescending manner... I cite: "arriccle" and that horrendous comma splice. Interesting picture of the man with the withered right hand and the owl.....looks like Moses....with the leper's hand. He was found in the bulrushes and the picture of the woman moving through the reeds to the satyr from the article yesterday....hummm. The owl was the first bird to come to the glass coffin. I love being crazy. Jennifer....we complete the thought, we interpret what is given according to our own perceptions....it is more fun this way....it is best not to be hand fed, but to let the pictures and stories dive into our subconscious....this way our own story is brought out of the deep recesses of our mind and as we run down the path, we understand we are the heroes of our own stories....no one has the same story....no one can interpret the myths and legends the same way we, as an individual does. Then we discover our PASSION for what we are. Dangerous to sneak a John Howe portrait of Gandelf in, at the start there. There could be Tolkienites about. Never make the mistake of giving the impression you think the five Istari Wizards of middle earth can be compared to a wizard like Merlin to a full Tolkien geek: there's forty five minutes of your life you will never get back! My thoughts exactly, that's not Merlin!